The flagship event of the Society of Petroleum Engineers—the SPE Annual Technical Conference and Exhibition (ATCE)—took place at the George R. Brown Convention Center in Houston, Texas, USA. 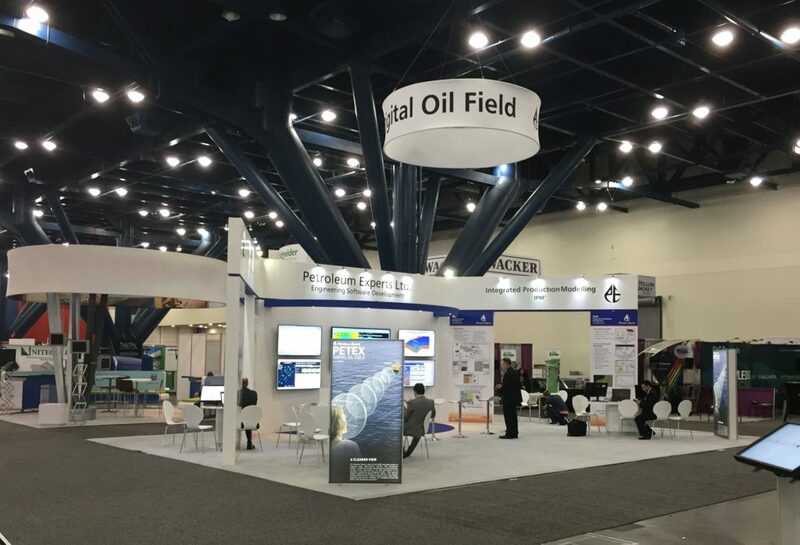 This premier event in oil and gas exploration and production covered the upstream aspects of conventional and unconventional resources from across the globe. RH Displays & Exhibitions were once again working with client Petroleum Experts to provide a stand out presence at the ATCE event. With a circular rotating hanging sign and a fully branded angled façade to the structure, Petroleum Experts were able to attract visitors from afar. Illuminated graphics were used on the front corners of the stand to re-enforce the companies branding and showcase still images of the latest innovative software. 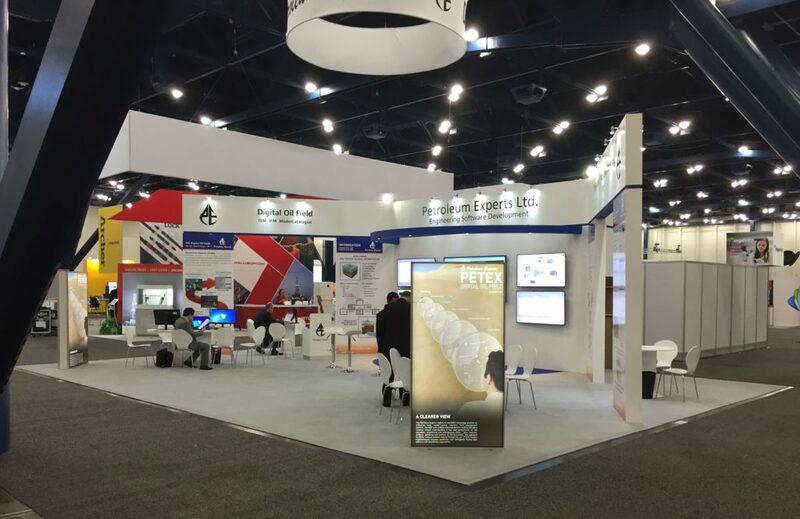 A high end LED screen wall was used to showcase company software and create an engaging visual display for visitor presentations. RH Displays & Exhibitions Ltd.
©2018 RH Displays & Exhibitions Ltd. All Rights Reserved.